I want to mention how much I love the drawings in this book. I’m not an expert on illustration, but the style of drawing and coloring enhances the feel of Thailand. The busy Bangkok scenes feel busy, while there is a calmness when Aya and Bobby are at the beach. This book is a terrific primer for children traveling to Thailand. 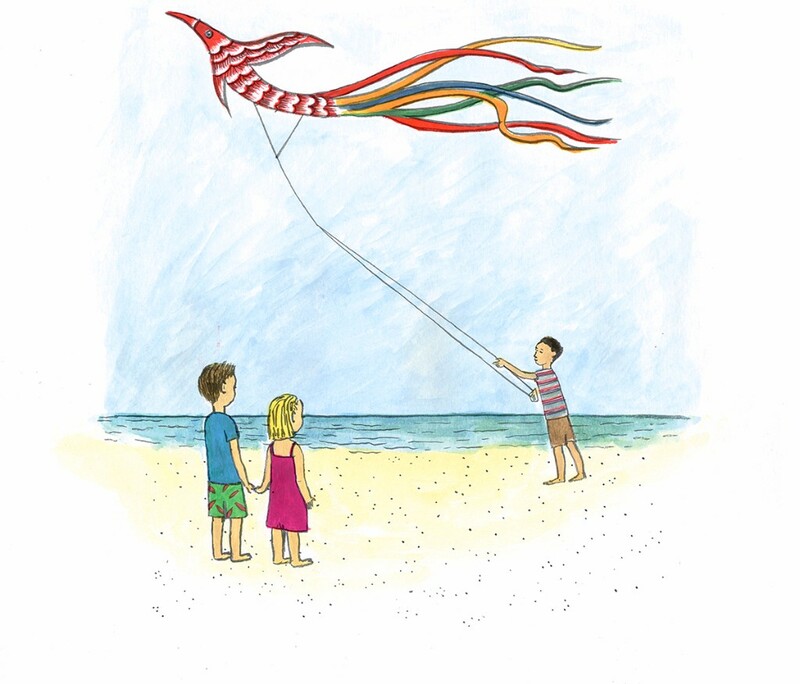 The story perfectly illustrates the excitement of going on a plane trip to a foreign country and will help children prepare for each step of their journey. The illustrations are vivid and colorful. Children will enjoy pointing out the details in the illustrations, including the delicious-looking food and sweet animals and fish. Even adults will learn a thing or two about Thailand’s friendly people and beautiful national treasures. In perfect time, this book arrived on the scene just before taking our three year old son to Thailand for the first time. Once introduced he was hooked, subsequently enjoying many of the experiences he'd learnt in the book for himself. On returning home he refused to sleep without his nightly instalment of his new 'friends' Aya and Bobby - it was quite a long weening process. Thank you to the author and looking forward to the next instalment. I bought this book for my daughters after we have been travelling. It is a beautiful story that helps my eldest daughter to relate to with her own experiences: on the plane, eating ice-cream... We have lovely conversations when reading it. We can't wait for the second book!! I highly recommend it for families that travel and also for families that don't have the opportunities to travel! Last month primary classes at Stockholm International School had the opportunity to meet author Christina Kristoffersson Ameln who introduced them to her story "Aya & Bobby Discover Thailand: The Land of Smiles." This story takes children along for an adventure across Thailand with two loveable and relatable children named Aya and Bobby. 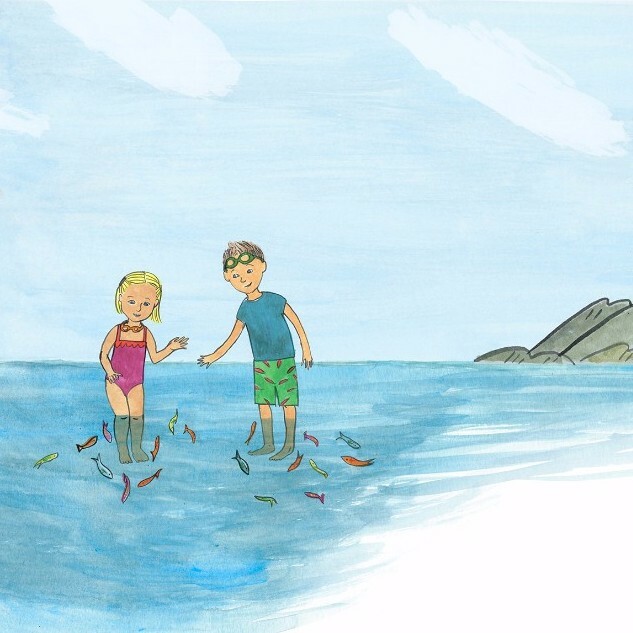 On their adventures the children try new foods, see exciting new sights and begin to widen their own ideas and perspectives about a different country and culture. All of the classes loved this story as so many families in our school community have travelled and shared similar experiences. We are all looking forward to reading about Aya and Bobby's next adventure story in Vietnam! I purchased this charming book for my niece as a cross-cultural experience. It is written beautifully; an experience directly through the eyes of a child and told by a child. The illustrations are gorgeous, helping the young reader visualize the cultural nuances. I cant wait for Aya and Bobby's second adventure and hope to build a collection of shared experiences. I hope the author will continue writing! Travel guides for adults there are so many, but now there is finally also one for children. We are planning a trip to Thailand and have used the book to bring our children closer to the country. The text is short, easy for children to understand and brings on many smiles. Also the drawings are very cute. I hope there will soon be more Aya & Bobby books. This is the first travel book for children that I have come across. It brings to life the sense of adventure and the fun of new experiences that children get through travelling / holidaying, in this case in Thailand. If you have kids and travelling to Thailand then buy this book. It's beautifully illustrated too. My son loves it. This is a great book for your kids to learn about a new country and a new culture. My 4 year old son absolutely loved it and he now wants to travel to Thailand too. I really enjoyed it as well! I just read your book to my three children and the first thing Luke (3) said was "can you read it again"! 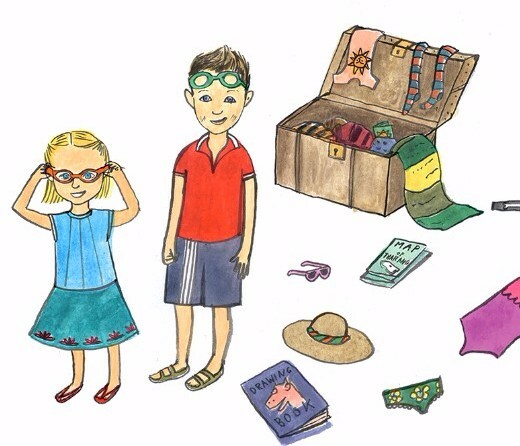 Jojo (7) is so happy there are other fussy eaters out there and Elena (9) really really wants to go to Thailand! It is really truly wonderful , kids will absolutely love it and I already have a lot of friends I want to give it to! The kids and I can't wait for Bobby and Aya's next adventures!